Rideshare companies advertise the benefits of using their services, including convenience and cost. However, there could also be another benefit that rideshare services provide in some cities — a reduction in the number of drunk driving incidents. Campaigns against drunk driving often include strong suggestions that individuals need to plan for alternative forms of transportation when they are going to be drinking, such as taxis and rideshares. Even rideshare companies like Uber and Lyft advertise that they provide a safe alternative for individuals who have been drinking. Uber has partnered with MADD to increase efforts to reduce drunk driving throughout the country by encouraging individuals to use ridesharing services instead of getting behind the wheel. However, has Uber and Lyft had a significant impact on the number of DUI and DWI cases? The answers vary depending on the study and the source you consult. Some studies seem to support the argument that Uber and Lyft have caused a significant decrease in the number of drunk driving incidents. However, other studies seem to support the argument that you cannot know for sure whether ridesharing impacts drunk driving in certain cities. A New York Times article in 2017 highlights the differences in some of the studies. For instance, one study revealed a 25 to 35 percent reduction in DUI-related car accidents in four New York City boroughs since Uber was introduced in 2011. However, another study that reviewed data from 100 counties across the United States did not find any correlation between Uber services and the number of traffic fatalities. Many other studies have been completed that have similar results. Some studies indicate that incidents of DUI and DWI in cities where Uber and Lyft services are offered have decreased. Other studies are not as conclusive. While Uber and Lyft could play a significant role in the decrease of DUI and DWI incidents in many cities throughout the United States, there could also be other factors at play. For example, cities that have a large number of tourists who do not have access to personal vehicles may show a larger decrease in drunk driving incidents because tourists who are drinking are already using other forms of transportation. Likewise, cities in which a large percentage of the population does not own personal vehicles may show a decline in drunk driving incidents because people are already used to using other forms of transportation. Other factors that may have a significant impact on the results of the effectiveness of ridesharing services to decrease drunk driving include access to public transportation, time frames, state laws, and personal attitudes. One of the biggest factors may be a person’s ability to make sound, reasonable judgments after consuming alcohol. Consuming alcohol impairs a person’s judgment. Unfortunately, there is nothing a company, the government, or another person can do to force someone to choose a ridesharing company instead of getting behind the wheel of a vehicle. What Should You Do If You are Involved in a Drunk Driving Accident? DUI accidents can cause serious injuries and deaths. Unfortunately, the availability of Uber and Lyft will not prevent all DUI accidents. If a drunk driver hits you, call 911 immediately to report the accident. Do not confront the drunk driver or accuse the driver of being intoxicated. An intoxicated person is highly unpredictable. Tell the 911 operator that you suspect the person may be intoxicated and follow the operator’s instructions. If the drunk driver caused the crash, the driver’s insurance should cover your damages. However, the insurance company may deny the claim if fault for the crash is in dispute. Therefore, treated a DUI accident as you would any other type of car crash. If possible, take pictures of the accident scene and try to get the names and contact information for any eyewitnesses at that the accident scene. This information can be very helpful in proving that the drunk driver caused the accident. Before providing a statement or signing any releases for an insurance provider, call a Maryland DUI accident attorney to discuss the claim. If an insurance company can find a way to deny or undervalue an accident claim, it will do so, even if it knows that its insured was drunk at that time of the crash. 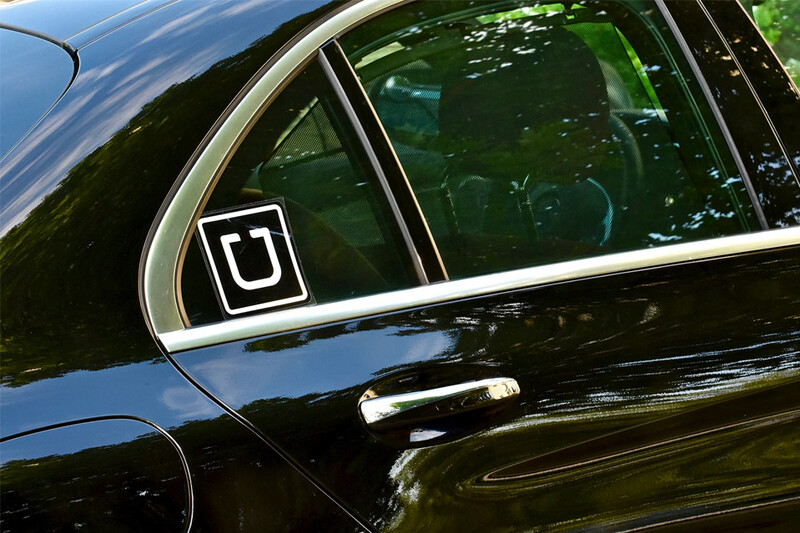 What Happens If You’ve Been Injured As An Uber Or Lyft Passenger In Maryland? Our Maryland accident attorneys investigate DUI accidents and Uber/Lyft accidents to determine fault and liability. Our legal team handles all aspects of the claim process so that you can focus on your recovery and your health. Contact Pinder Plotkin by calling 410-661-9440 to schedule a free consultation with a Maryland accident attorney.